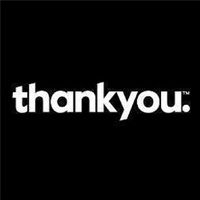 Thankyou is the vision of Daniel & Justine Flynn and Jarryd Burns, who began this Australian social enterprise in 2008 with the idea of selling bottles of water to help end the world water crisis. 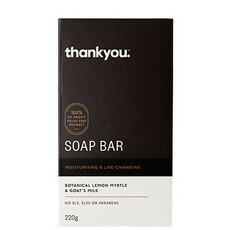 Supported by a thousands-strong consumer movement, Thankyou overcame strong resistance from mainstream supermarkets and the enterprise has now grown to offer over 55 products, including its super-popular hand wash.
Thankyou is a social enterprise, not a business, and has no private shareholders. 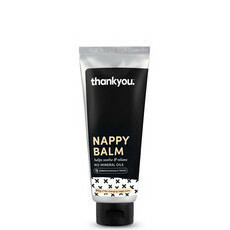 It is 100% owned by the Thankyou Charitable Trust, a registered charitable entity, and 100% of profits are committed to the trust to fund sustainable development projects that help tackle global poverty. Millions of dollars have already been raised to provide access to safe water, toilets, and child and maternal health programs to thousands of people in need all over the world, and the work continues. Aware that poverty exists in Australia as well as overseas, Thankyou is currently looking into ways to have a sustainable impact on local, poverty-affected communities. Thankyou has advised that if palm oil is used as an ingredient in a product, every effort is made to use Certified Sustainable Palm Oil (CSPO). It is currently working with its manufacturers to find CSPO or palm oil substitutes for products in progress, and has already made its Hand Lotions and Body Lotions palm oil–free.